Designed specifically for spraying and filling voids in interior masonry block, this interior latex coating is less than 50g/l VOC and has been formulated to minimize tip clogging. 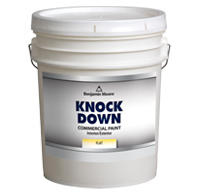 For commercial and residential applications.Â Use on interior or exterior cementations substrates in commercial and institutional applications. Designed for spraying, brushed or rolled. A premium applicator line designed to deliver the performance and durability required by today's customers. Professional quality applicators deliver the perfect mix of quality and value. These roller covers are produced with the finest quality knitted synthetic fabric. They offer the maximum paint pick-up and release. These covers resist matting and can be used with any Benjamin Moore paint on any type of surface. The heavy-duty polypropylene is resistant to water and solvents. If spraying by airless, use a .031-.035 tip. Care must be taken to ensure that large voids are filled during spray application. Back rolling is recommended for a more uniform fill. Do not apply when surface or ambient temperature is less than 50°F (10°C). Block Filler may be thinned sparingly with clean water if required for spraying. This fast dry interior latex is designed to provide superior hiding and allow for minimal surface preparation. 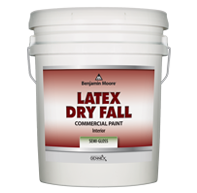 The dry fall qualities of this product cause the overspray to settle as a dry powder in approximately 10 feet of fall. 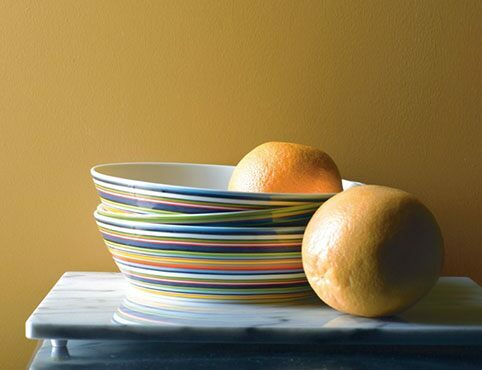 Can be tinted with up to 2oz per gallon of Benjamin Moore Gennex® colorants. For commercial and residential applications. For spray application to interior ceilings, walls and structural members in commercial and institutional buildings. Overspray dries to dust before reaching the floor. May be applied to galvanized metal. This product is best applied with airless spray equipment. Mix product thoroughly stirring before use. For best results, test dry fall distance and follow surface preparation instructions prior to applying product. Changes in application equipment, pressures and/or tip sizes may be required as a result of changes in ambient temperatures or conditions. Dry fall characteristics are dependent on the degree of air movement and will be adversely affected at temperatures below 70°F (21°C) and relative humidity greater than 50%. Reduction will adversely affect the dry fall characteristics of the product. Overspray may adhere to hot surfaces; protection of some equipment may be required. For new construction or remedial work to drywall, plaster, concrete block, poured or pre-cast concrete, and wood in commercial or residential buildings. Typically used in hotels, office areas, schools, restaurants, hospitals and residential construction. Mix thoroughly with slow-speed power drill. Apply by hopper gun or airless gun with air atomizing texturing attachment. 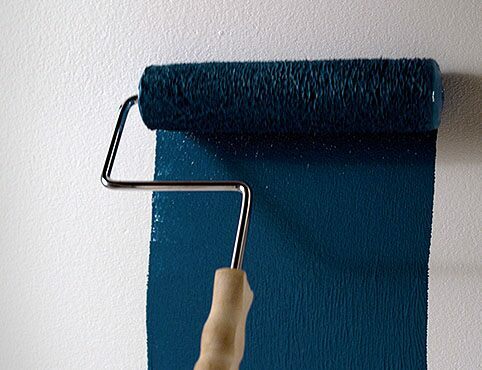 Apply base coat by airless spray, reduced with up to 1 pint of water per gallon at 8 mils wet. Allow to dry for 4 to 6 hours. Apply spatter coat to desired pattern, then knock down using 12” or 24” flexible blade. Normal working time is 10 to 20 minutes. Do not apply when the surface or air temperatures are below 50°F (10°C). Mix thoroughly with slow-speed power drill. Apply by hopper gun or airless gun with air atomizing texturing attachment. 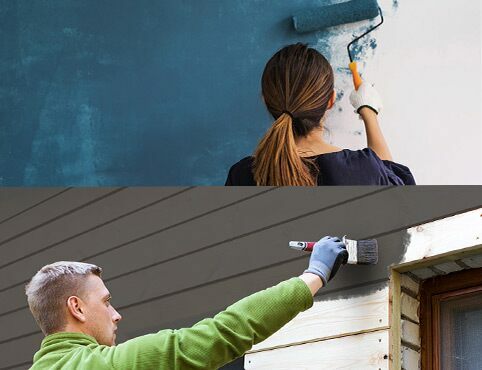 Apply base coat by airless spray, reduced with up to 1 pint of water per gallon at 8 mils wet. Allow to dry for 4 to 6 hours. Apply spatter coat to desired pattern, then knock down using 12" or 24" flexible blade. Normal working time is 10 to 20 minutes. Do not apply when the surface or air temperatures are below 50°F (10°C).